In approving the 2016 municipal budget the city council approved the hiring of a new police officer. Since the City contracts with the King County Sheriff’s Office we have notified them of our desire for a new officer. The turn around to hire and train is roughly nine months. Therefore, our new officer should be in Covington around August or September. Our crews are making steady progress restoring power to customers impacted by high winds and heavy rains. As of 1 p.m., approximately 35,000 homes and businesses are without power. Outages are spread across King, Pierce, Thurston and Kitsap Counties. Many roads are flooded and closed, making it difficult for our crews and equipment to get into certain areas. The logistical challenges are slowing damage assessment, which is the first step in the restoration process. That process can normally take 24 hours or longer, especially if weather remains an issue. We are using helicopters to patrol damaged areas. Additional crews from outside our service area are arriving to support our crews already in the field. Each outage site is assessed for the damage and type of repairs that are needed. This is why “under investigation” appears in the estimated restoration time section of our outage map and app for so long. We’re working to get the best data based on the unique circumstances of that particular outage. Our damage assessors are reporting they’re seeing a higher number than usual of entire trees coming down due to large part to the saturated, swampy soil conditions. Whole trees have also tipped over and landed on power lines in the wind and soggy ground. Many trees have already lost their leaves. But nearly all conifers, such as Douglas firs, retain their needles and their branches can have a greater sail effect in windy weather. Douglas firs also have shallow root systems and if the soils are saturated, they are prone to entire root plate failure – even if healthy. A lot of trees became extremely stressed from hot weather and drought conditions this past summer. It compromised their structural integrity, and left them weakened and vulnerable. We’re still seeing the impacts of that as trees collapse or have limbs break off more easily. If a natural gas customer’s meter becomes submerged in flood waters, they should report it by calling us at 1-888-225-5773. If there’s the smell of natural gas, a customer should call us or 911 immediately. After flood waters subside that have covered a gas meter, we’ll need to check the meter and the regulator before any natural gas appliance in the home or business is used. Never touch downed power lines because they may be energized. Call PSE at 888-225-5773 or 911 to report problems. Last Friday, the City of Covington received a grant from the 2015 Arterial Preservation Funding Program in the amount of $764,660. 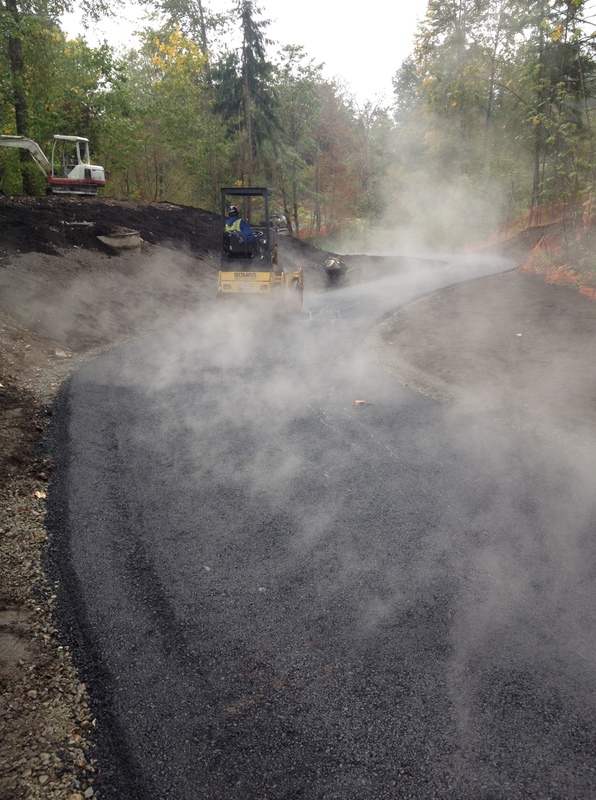 The project will involve asphalt grinding, shoulder grading, ADA ramp replacement, asphalt paving, and striping. The project will pave 180th Avenue SE from the SR 18 Bridge to SE Wax Road. And will then pave SE 256th Street from 180th Avenue SE to 170th Avenue SE. We are very excited about being able to apply these funds to improve our streets. We’re seeing high winds across our service area. The forecast calls for the strongest winds between now and 4:00 p.m. today. Crews are deploying as outages occur and conditions are safe to do so. As of 11:00 a.m., there are approximately 11,000 customers without power. There’s a process to our restoration efforts. We first assess the damage, prioritize the responses, and then dispatch our crews. We have a large service area that covers about 6,000 square miles. We restore critical services first (such as hospitals), followed by restoring power to the greatest number of customers as quickly as we can. We have the equipment and materials that are needed for the type of outages that can be caused by high winds. To help reduce the likelihood of outages, we do tree trimming year-round to help prevent falling limbs from short circuiting power lines. Another round of heavy rain is expected. That means the ground will become even more saturated in places. Trees will be more susceptible to toppling over in unstable soils and could hit power lines and power poles. Also, a lot of trees remain stressed from hot weather and drought conditions over the summer. It compromised their structural integrity. They might collapse or lose limbs more quickly than they normally would during rough weather and create power issues. Safety first. Never touch downed power lines. Call PSE at 888-225-5773 or 911 to report problems. As Covington continues to grow and expand there are certain projects that could cause some “growing pains” along the way. For example, Soos Creek sewer district is undergoing a large sewer project and today will begin work to cross SE 272nd between Covington Way and SE 156th. During the project two lanes will be available in the direction of peak traffic flows (westbound until 9am and eastbound after 3pm), and two lanes each direction at the end of each day. Another project will be the widening of 272nd between Jenkins Creek and 185th. This project was funded through the statewide transportation package and should begin work next year. Although these projects, and others like them, cause “growing pains” or in other words “traffic pains” they will, in the end, only improve upon the livability of our community. Covington actually has some really great trails and we have plans to improve and expand additional ones. In fact, just last week a trail through Jenkins Creek Park was paved and a new bridge is going in later this month to replace the bridge washed away during flooding a few years ago. Also, if you have not been, check out the trails at Covington Community Park, they are beautiful! Check out this short video below of Covington Community Park’s trails. What would you say in Olympia? Lobby in conjunction with Maple Valley and Black Diamond for 516 and 169 improvements. Seek funding for a higher education needs assessment in Covington. And there are several more the council will be considering. What would you add to the list and have us say in Olympia?